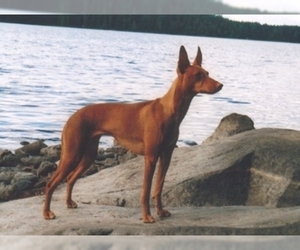 Overview: The Cirneco Dell' Etna is an Italian Greyhound. The breed is normally used for hunting, but makes a good family pet. 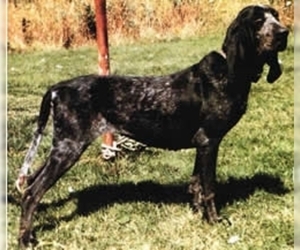 Coat: Smooth on the head, ears and legs; semi long (about 1") but sleek and close lying on the body and tail; it's straight and of vitreous texture. 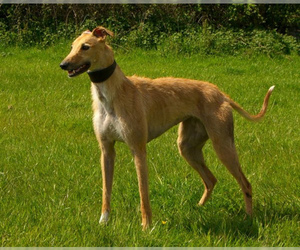 Character: The Cirneco Dell' Etna is energetic, agile and affectionate. Temperament: The Cinerco Dell' Etna gets along well with children, but is aloof with strangers. They will get along with other dogs when they are raised together, but may not do well with other animals. 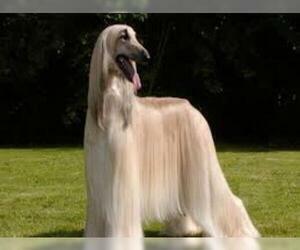 Care: The coat is easy to groom and only needs an occasional bath and brushing. Training: The Cinerco Dell' Etna needs firm training. It's best to start when the dog is young. 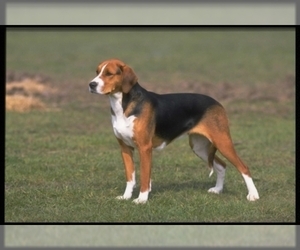 Activity: This breed needs a moderate amount of exercise.